Typically I write all the posts for this blog, but I’ve got an article by Maxime Rieman, that’s perfect for home sellers. Maxime writes for the personal finance website, NerdWallet. whose insights for finding the best products, services and organizations have been featured in the New York Times and the Wall Street Journal. If somehow your home selling information is not on a website, set up your own page using one or more of the social media platforms available, or create a site using one of the many easy to build website creators. And make sure you include pictures and a room by room video tour of your clean house. For me, social media can really help to sell your home. Because nowadays lots of people are using internet. In this way, they can easily see the house through pictures. Nowadays promoting your house online is absolutely crucial. This is where most home buyers looks first unless they see a home in the window of a real estate office or someone is driving by your house — and even then, viewers often go online to find out more. Social media is the next step in home promotion, spreading the word to get more people to the seller’s website information. Many Realtors these days are active Facebook and Pinterest users for this reason. I do agree with you though that social media really help a lot in selling your home. Today every person must aware about social media and that is the only reason that your home sells quickly after that. There are many types of sites in which you just to upload the picture of your home as well as add description so that you can sell it easily. It is necessary that you have to put all information clearly and right, so that at the time of selling there will be no problem arise. Apart from that home furnishing is also very important. If your home furnished it will easily sell. There is a lot to be said about furnishing your home beautifully. This does not have to mean expensively, but just in a style that works with your home. You can often get away with simple furniture in fact — the most important thing is keeping it clean and uncluttered so potential buyers can imagine themselves living within your walls. 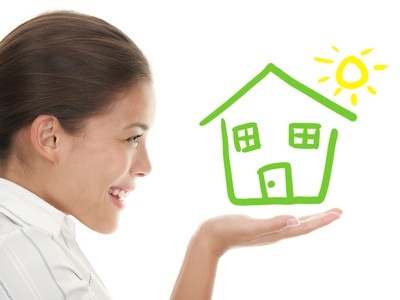 These tips are absolutely essential in today’s housing market. If my clients expect to sell their home in Raleigh NC within 60 days, I always make sure each of these steps are done. Thanks for sharing! This is great information you provided for selling homes with the help of social media. Every home seller should be aware of the power of social media. Thanks for your comments Mahnoor. Every home seller and every Realtor needs to include social media in their home selling marketing plan. You’re right Joan. I have managed to sell a few things of my house through social media sharing. It reaches out to people easily. But selling a house requires more than that. I’m not comfortable showing all the crooks and corners of my house just on social media sites. I’d rather use a site such as http://www.sellmypropertyquicker.co.uk/ which is very useful in the UK. You have provided very helpful tips to sell homes online. This online world makes transactions very easy. Here I must add one point that there are several real estate agents who provide online high quality services for buying and selling of property. This is a tremendous post.You explained very well about social networking sites and media which can help us to sell our homes very easily. I need to sell my house, please tell me which social networking site is suitable for me. I find a number of home sellers are having luck by posting photos and information on Facebook and Pinterest… some are also using Twitter and Vine videos. These are some great points. I think it is important to try and keep it looking like you aren’t really desperate to sell your property by posting too much on social media, as this can put people off. But social media has become such a huge deal, that done in the right way, I think it can really help. I agree. I have been selling real estate for about 10 years, and the one thing that I would like to add, is take some great photos. Its amazing how much a difference it makes if we just take a few more minutes setting up a nice photo. For example, clean up clutter, arrange furniture neatly, take the photo with the best lighting in the day. For sure avoid photos taken at night. I agree with Robert’s comment about taking photos. This is almost essential. The more good photos you have of a home for sale, the more likely potential buyers will want to take the next step and look at it personally. However, night photos can be beautiful if done well with the proper lighting. For example they can be used to reflect off a polished driveway or show the architectural details of a home. Social Media is immensely helpful when it comes to reaching out to your audience, this is a cost effective tool for the Real Estate Market and can have useful results if done properly. Thanks for sharing this valuable blog with us. it’s really very helpful while buying and selling property online. Nowadays, It’s easy to sell your house online without having trouble. Just read out all the pros and cons of real estate online marketing and do what you want to do. There is a lot to be said about furnishing your home beautifully. This does not have to mean expensively, but just in a style that works with your home. Thanks for sharing this post……. Your welcome — people at Fort Myers Real Estate! Great post! This information is very helpful for the peoples who want to Sell House Fast and great Tips for selling your house. Social media can play an important role in engaging the target audience as the reach of this channel is humongous. This is a really great post and does a fantastic job explaining how social media can be used – and why everybody should be doing it! The internet is where most home buyers looks first and it’s a great way to promote your home using high quality visuals. Of course people should still be using estate agents but social media is the next step in home promotion, and these days many estate agents are active on Facebook and Pinterest themselves. Well agree! Social media is great tool now a days for promoting your business, product, events or services. Also its a great for our personal purpose like sell your house, you get the great deal without any Realtor fee etc. Thanks for posting great stuff!! This is a really great read. Social Media is a very powerful tool of promoting almost everything now. Its amazing how it can reach a lot of people in just a matter of seconds. I’ve seen some pretty good articles and blogs too in forsaleforlease.com.au try checking them out. Couldn’t agree more. Even the veteran developers in Dubai selling their properties on social media. Just imagine when a cost per lead is just $4 for $1 Million property, who don’t want to utilize? I totally agree with you. There are a lot of active users in every social media sites nowadays. If you want to target real people and be your potential clients then social media is the best tool. Aside from Facebook, Twitter and Instagram I also love Pinterest. This is a photo sharing social media sites almost same as Instagram. You can post all your images on that site to be viewed by your followers. Social media really helps a lot when it comes to selling your home. When you put your home on the market, it’s so important that your photos represent your home in the most positive light possible! That means they need to depict your home as appealing, bright, clean and free of mess. Make sure that you always get the best shots. After that, share all your photos to your social media accounts for exposure. Great post. social media is one strategy to help you how to sell your home fast. Social media can help you in buying your home. Because mostly people use social media. You if they need to buy a home they can see you add in social media while chatting or doing other works. Agree with the post! Social Media indeed help you out for buying your new home. A share from a family member could be your next dream home. You added excellent post that you make.Really it will be helpful for us.There are something new ideas.Thanks for sharing this article…. Social Media is a powerful medium these days to convey any of your thoughts. Even business can be taken to new heights with the help of Social Media. I have personally tested and tried the power of social media for my real estate business and it is really proven to be beneficial. But as every coin has two sides, one should use social media with caution. As people can post anything about you and it should reflect your image, maintaining the online reputation is must. Reading this article I get more information that you share. Thanks for sharing this article. Great read! Totally agree with this post. Social Media is a free marketing strategy and could start getting solid leads from your sphere. Selling your home is getting easier with technology. But you are exactly right that you need to do it correctly with social media or it gets lost in the crowd. We help home owners sell their homes the right way at https://thefreestone.com. I gather more information that you published. It will be helpful for us. It has been something new ideas. You should add more info like this. The power and effectiveness of social media is simply undeniable. Consumer behavior is constantly changing and this is a great example of how marketers need to adapt and change as well. Social media always help us to sell home quickly. We can post home photos and location on social media. I really like it, I have also a blog which is related with you, which is about buy my house. This would probably be cheaper to fix, anyway make sure it’s working when you buy the house. When buying a house make sure there’s no sign that foundation work might be needed. It’s a great tips for real estate agent Now a days social media is a very popular tool for branding.In this article you are describe about Social Media If any real esate agents follow these steps get 100% result in real esate industry and aslo off Plan Projects . Nicely written. With social media and little bit of creativity, alot can be achieved. Twitter for me was most helpful. It definitely is a stress reliever. Good read. If anyone is looking to sell their house then here are some good tips for you to price home to sell. I am glad to know that social media can help you in selling your home. Keeping your posts short and to the point would be smart. I like what was said about repetitively posting your home. Hiring a realtor would also be a great way of getting your home out on the market. These people have connections all over the place and would effectively be able to show others your house. Social media is the powerful medium for selling houses quickly.Peoples are always thinking how do you start selling home quickly. This post help them to know more about social media. Thanks for share with us. Great article. I’ve also noticed it helps to really become familiar with one social network in particular, get to know the methods of advertising and engaging with others providing value to your followers, the leveraging your audience by cross promoting to your other social networks to build a following there also. We’ve been through the home selling process… you’d have to pay me to do it again! But, after reading this, it’s made me feel like the entire experience would be a whole lot easier the next time round with social media! I hope you don’t mind me adding to your list, but one tip that actually really helped me out was home staging. I think we used these people in the end http://www.roomservicebycort.com/property-marketing/dress-sell to dress the property for viewing. I don’t think we’d have sold it so quickly without them…but then again – I didn’t have this blog last time round! Social Media has become an important part of our daily lives and people prefer searching for things online before they proceed to buy, same goes with real estate, the world wide web has emerged as a big platform fro real estate hunting, a nicely written article indeed. One of the best blog posts I’ve read! Thanks a ton for sharing this! Brilliant article, these social media tactics will definitely help improve our off plan property social media strategy. This is quite interesting, I will definitely share this with my marketing team in our real estate brokers company. Interesting topic. as a part of a real estate company this would help a lot. Yes its true that social media help in selling properties, I have seen major developers like Emaar , https://azizidevelopments.com/ or Damac properties use major social media channels to promote their properties. Social Media definitely helps a lot in selling your house especially if you choose the right words and photos. Great blog by the way! It’s really good. Nowadays social media is a big factor to highlight anything. I will do some implementations as per the suggestions provided by you. Today, Social media is the best way to sharing information. Such a nice article.